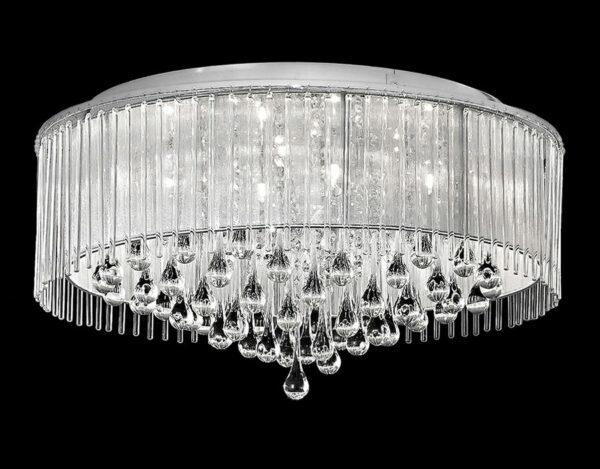 This Franklite Spirit 8 light flush mount ceiling light in polished chrome with crystal drops and glass rods is contemporary and stylish. Large 50cm ceiling plate, with circular chrome frame containing eight lamp bulbs. A lurex fabric shade features strung crystal drops inside and delicate clear glass rods outside. Heavy teardrop shaped glass rods fill the centre and hang beneath. Perfect for installation in a stylish bedroom, living room or dining room and ideal lighting for rooms with a low ceiling. There are matching fittings in the Spirit inspired lighting range, please scroll down the page to view. 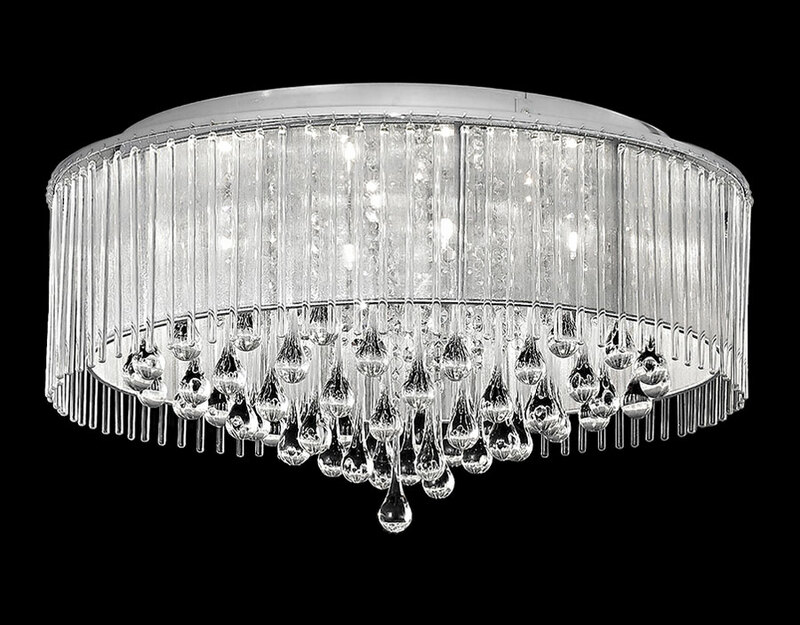 This inspired design is supplied by Franklite Lighting who have been one of the pioneers in the design, manufacture and distribution of high quality lighting such as the Spirit 8 light flush mount ceiling light in polished chrome with crystal drops and glass rods you see here.